Marie-Chris­tine Ther­rien, guest speak­er at Mobilise2018 — Dis­as­ter Risk Reduction. 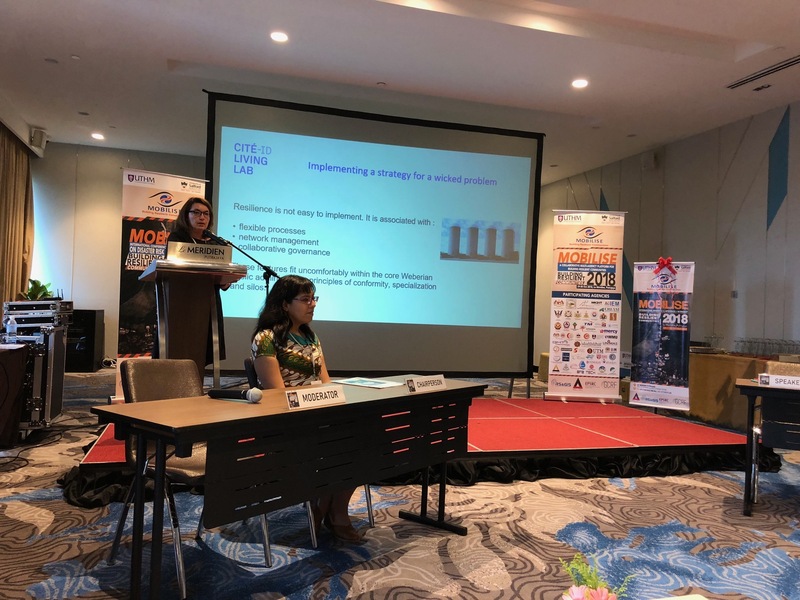 Pro­fes­sor and Direc­tor of the Cité-ID Liv­ing Lab, Marie-Chris­tine Ther­rien, par­tic­i­pat­ed in to the work­shop Mobilise 2018 — Dis­as­ter Risk Reduc­tion con­fer­ence which took place in Malaysia. Her lec­ture focused on col­lab­o­ra­tive net­work gov­er­nance for the devel­op­ment of urban resilience. This event is part of a large research project man­aged by the THIN­KLab of Sal­ford Uni­ver­si­ty to sup­port build­ing com­mu­ni­ty resilience in Sri Lan­ka, Pak­istan and Malaysia. Over forty-five gov­ern­ment, aca­d­e­m­ic, non-gov­ern­ment and busi­ness organ­i­sa­tions con­tributed to the workshop.